Whether through donations of time, money, or materials, Newton Public Library benefits from those who give to support the mission of the Library. Your gifts help support the activities and programs of Newton Public Library. Whether building and maintaining collections, or providing services and programs for the community, the Library depends on the generosity of the community. Your support helps keep the Library free, open, and accessible. Leave a Legacy to make our community a better place – now and in the future. Memorial gifts of new materials for our collections may be made in honor of a loved one. Contact the Library. 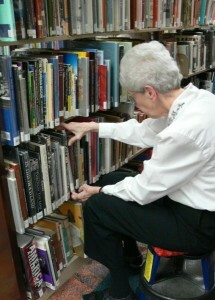 Monetary donations may be made to support the Library’s needs. Contact the Library. Support the facility needs of Newton Public Library as the community considers the Concept Design for a new Library. Contact the Library to support this venture. Gifts may be made through the Second Century Library Foundation or Friends of Newton Public Library.